Monday: Closed unless it is a holiday, at which time it will be closed on Tuesday. Pool parties can be arranged 10 days in advance by contacting the Woods Office at 904-221-3722 or emailing thewoodscommunit@bellsouth.net. One lifeguard is required for every 15 people; parties over 30 require Board approval to accommodate Woods residents. 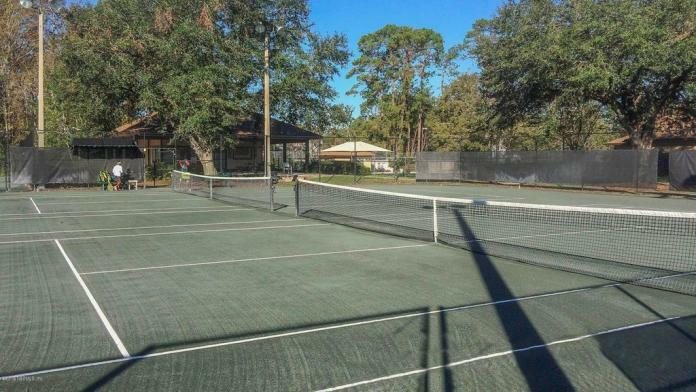 The Woods has 8 lighted courts available. Please check with the Woods office if there are teams or tournament play scheduled. The area includes an outdoor grill, covered picnic areas, and ample parking for Birthday parties and other events. Events can be reserved by contacting the Woods office, otherwise it is on a first-come, first serve basis.